Since FilesAnywhere has both the Google Docs and Zoho editors for editing documents online, customers may wish to enable the Google Docs Editor for use. 1. 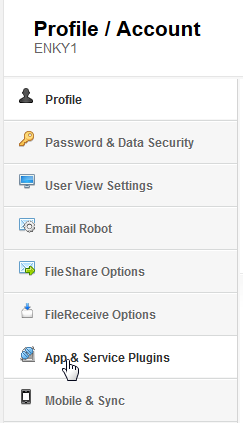 Click on your name in the top right-hand corner and select Profile / Account. 2. Navigate to the App & Service Plugins section of the Account Settings page. 4. Click on Enable to activate the Google Docs Editor.